my name is Triston Southern. my birthday is on August 19,1996. i would like to join because you sound like a fun group of people. i would like to get to know everyone. i was playing starmade on your server and thought let me go check these guys out maybe ill join. which led to this thread being made. I could help by being a friend and brother to the members of the clan and help out around the starmade server. i play starmade,war thunder,and battlefield on the PS3. i am usually on the pc games though. i am in a clan on battlefield right now that i am fond of and i am a leader in the clan.i mainly play on pc right now but i have a mac so i can't play everything. i am on steam as baraider all lowercase. on playstation i am triston-destroyo. i am also a eagle scout. i have leadership experience in a clan. i hope to be excepted and welcomed into Wolf Pack Clan. 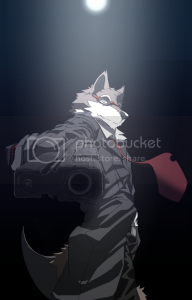 Welcome to the site Skyfortress20 glad you could make it, unfortunately these days the wolfpackclan is short on regular attending members but that does not mean there isnt room for one more, just stay active on the site/forums and servers and follow our standards and you are sure to become a member. Most of us have moved on to different things im afraid,but your always welcome here Skyfortress20. Buzz is a standup guy and you will no problems what so ever. Good Luck!! Did he ever or she ever make it in? Surprised to see you back here Woody :P I assume the clan has been very low key for awhile? Wow, people posting. What's up with that? wait we have a website?